One of the most popular and arguably oldest bridges in the world, Capilano Suspension Bridge is one of those places that you should visit at least once in a lifetime. 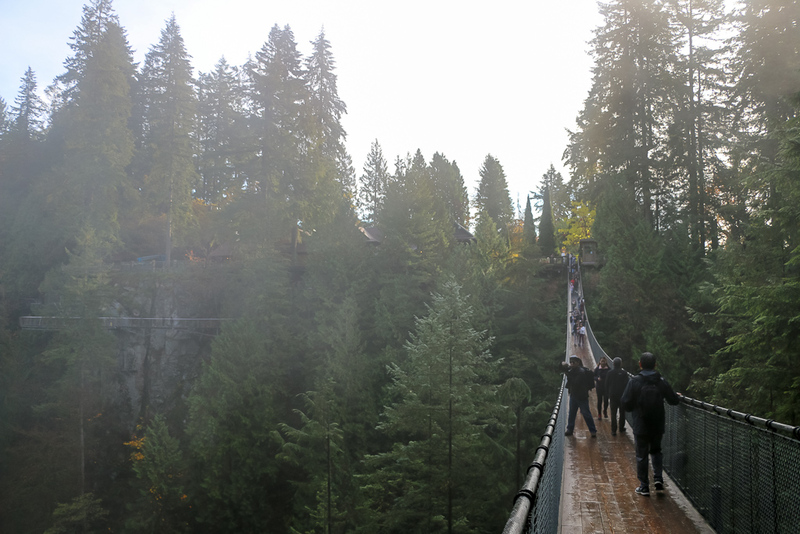 The wobbly structure towering high above Capilano River gives you enormous adrenaline rush. Treetops Adventure ensures unforgettable memories for life. 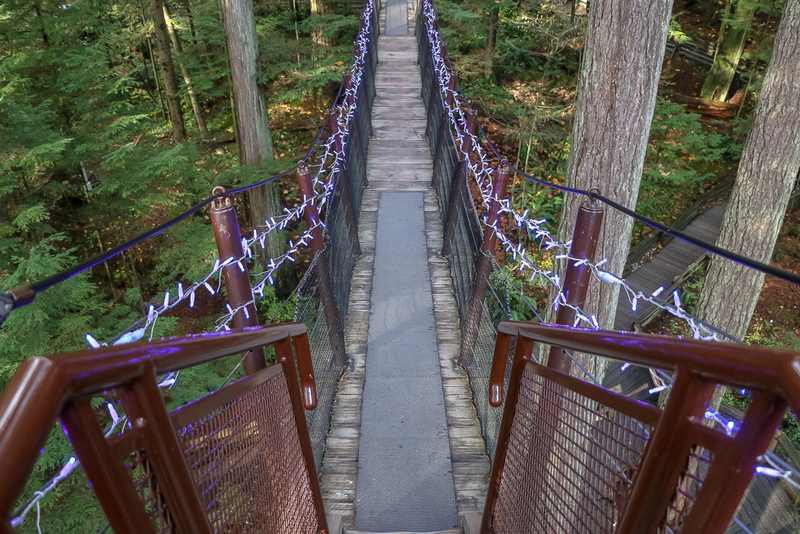 The reasons to visit the world famous Capilano Suspension Bridge are endless. You can argue that it deserves your attention as one of the most popular attractions in Vancouver (a city that itself ranks high on the list of the most visited places in the world). Tall trees and natural beauty of British Columbia will also arise your interest. Not lastly, mesmerizing show of Canyon Lights will stir you, making forsake coziness and warmth of your place and venture 20 minutes north from downtown Vancouver. Everybody has their own reasons that might significantly differ from the ones of your friends or family members. However, some “whys” seem to fit any preferences. With that in mind, we are going to unfold the most important reasons why you should visit the Capilano Suspension Bridge at least once in a lifetime. An over one hundred-year history of the Capilano Suspension Bridge began in 1888. At that time George Grant Mackay, a Scottish civil engineer and land developer, acquired 6,000 acres of land on both sides of the Capilano River. The new owner erected a small cabin on the edge on the canyon wall. Initially, Mackay did not have any need to connect both sides of his property, not until year later. In 1889 with help of indigenous chief of the Squamish people, the Scottish built a simple suspension bridge made of hemp rope and cedar planks. Of course, the first footbridge did not look anything like a modern bridge with massive concrete constructions at either end. Nevertheless, it does not take away the fact that Vancouver’s pride and joy is arguably one of the oldest suspension bridges of its kind. Suspended 230 feet (70 meters) above the Capilano River, the 450 feet-long (137 meters) bridge is one of the most spectacular constructions in the world. This alone presents a sufficient reason to visit the Capilano Suspension Bridge at least once in a lifetime. The wire cable structure is impressive on its own. On top of that, it was made with all preciousness to provide the visitors with safe environment. But quite often, the luxurious surrounding of Capilano Suspension Bridge Park steals the show. The tallest trees you have probably ever seen became a trademark of the area. 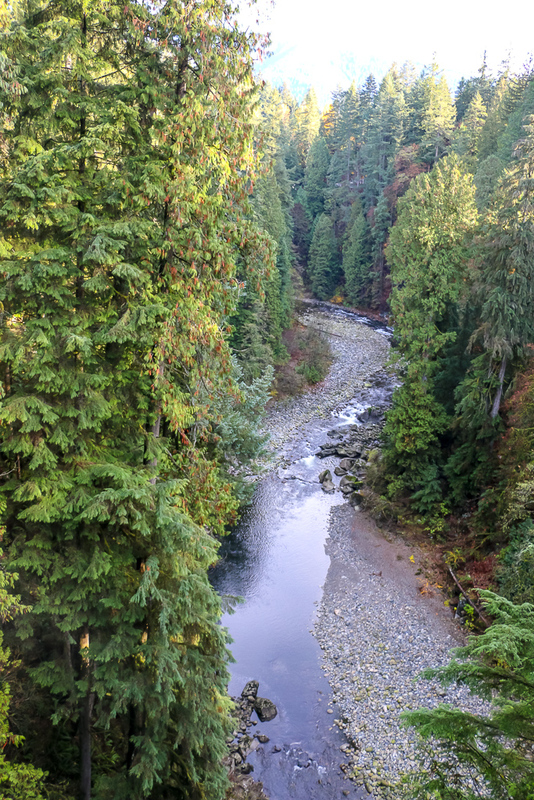 These gigantic, colossal, stunning, and awe-striking trees of the West Coast rainforest pared with the meandering river and deep canyon below make the Capilano Suspension Bridge one of the most spectacular places in the world. There is no better way to explore the rainforest than immerging in it. Becoming if not a part of it, then at least an insider seems like an ideal option. Treetops Adventure, one of the most popular attractions of the park, solves this problem. This once-in-a-lifetime experience is truly unforgettable. Not every day you can boast about seeing the forest from a squirrel’s eye view. And definitely not from the elevation high enough that you can barely see the ground or the sky, hidden by the tops of the colossal trees. So what exactly is the Treetops Adventure? The first of its kind in North America, the Treetops Adventure looks like an orderly net of seven short suspension bridges attached to the Douglas fir trees. To avoid any harm to the nature, nails and spikes were replaces by steel support collars during the construction of the bridges. In contrast to the Capilano Suspension Bridge, the Treetops Adventure’s bridges are much narrower. Only one person can process in one direction at a time. Nevertheless, this does not prevent the visitors from enjoying the rainforest from inside at least once in their lifetime. All adrenalin seekers and height enthusiasts must check out Cliffwalk. The newest attraction at the Capilano Suspension Bridge, this masterpiece of modern technology deserves enormous respect and admiration. Just like the world-famous Skywalk improves Grand Canyon experience tenfold, this narrow suspended walkway further establishes the Capilano Suspension Bridge’s reputation as a must-visit destination at least once in a lifetime. 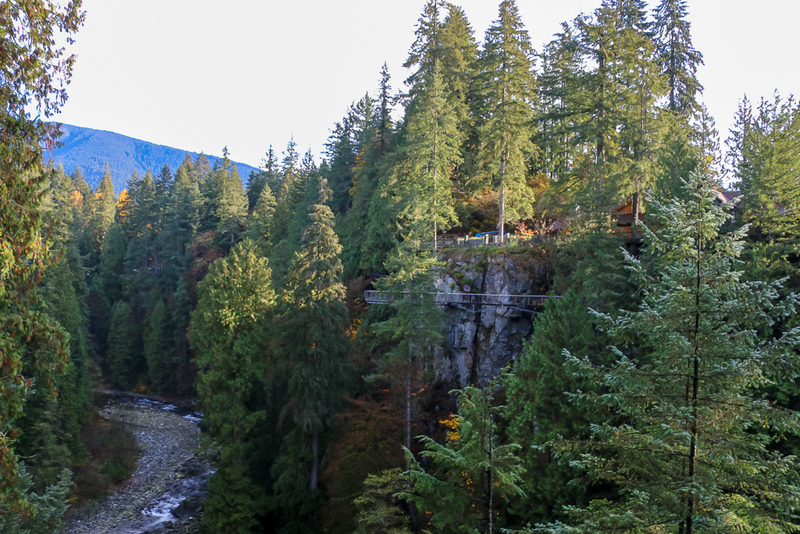 The highest point of Cliffwalk reaches as far as 300 feet (90 meters) above the Capilano River. Thanks to steel beams supported from 16 anchor points in the rock face, the popular attraction does not swing. Nevertheless, the 700-feet long (213 meters) structure satisfy all height resistant visitors offering them panoramic views of the rainforest and canyon below. 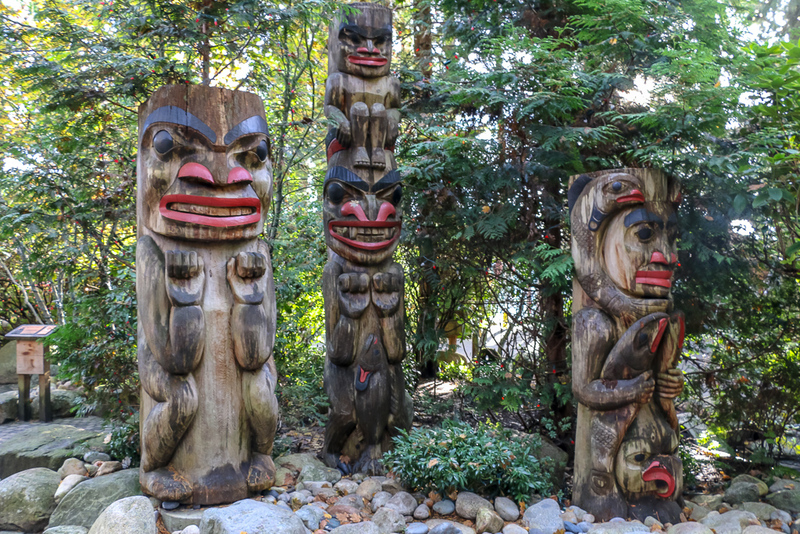 Totem Park is yet another reason to visit the Capilano Suspension Bridge. The intricate carved monuments make you wonder about people who occupied the Northwest Coast way before Europeans got here. Who were they, the First Nations tribes? Many aspects of their lives still remain mystery covered in darkness. One thing is certain though. The indigenous people did not lack creativity, talent, love and great respect to the nature. As silent witnesses of the old times and the secrets of the aboriginals, the totem poles tell their stories now. What do you hear? Do they narrate you about the area before the Capilano Suspension Bridge changed it forever? We all are very different. We have very divergent interests and preferences. 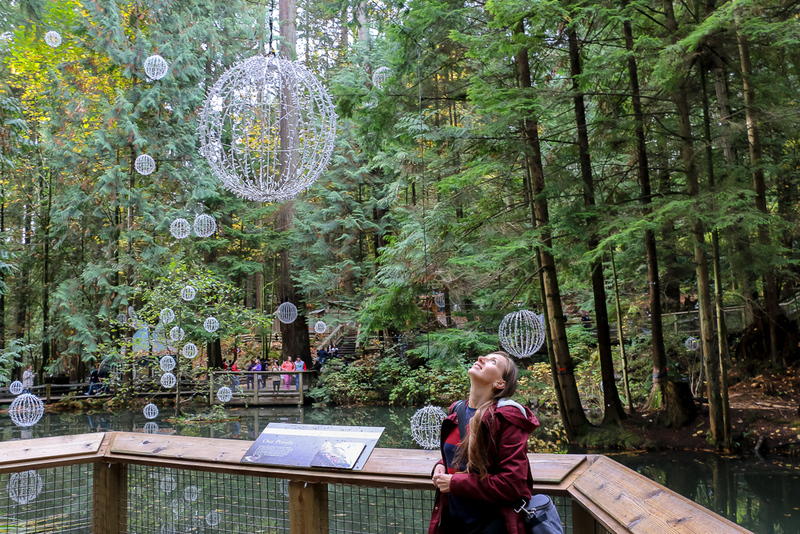 You might not be thrilled about the five reasons to visit the Capilano Suspension Bridge mentioned above. For some of you, it is more than enough to pack and fly to British Columbia. Once-in-a-life time adventure already awaits such daring travelers. However, one attraction of the park seems to win the heart of all its visitors. Wouldn’t you be smitten by hundreds of thousands of lights illuminating the bridge and its surrounding? I assume you would. Every day (except Christmas Day) from November 22 to January 27 between 4:00pm and 9:00pm, the canyon transforms into a wonderland of lights. The festive bridge, Treetops Adventure, Cliffwork, and rainforest strike with the bright colors and expectation of something magical. Years in and years out, eight 250 years old Douglas fir trees with the attached Treetops Adventure viewing platforms become rare phenomena. Thanks to the bright lights above and below the collars, these plants are the tallest Christmas trees in the world. Almost as old as the Capilano Suspension Bridge, the Trading Post is a gift store with over 20,000 Canadian souvenirs. A bit expensive, clothing, jewelry, accessories, collection of First Nations art, and many other types of merchandise make for perfect gifts to remember this once-in-a-life time experience. History or nature? Both of these topics further explain why the Capilano Suspension Bridge should be visited at least once in a lifetime. Luckily, this information comes at no extra cost. The complimentary mini guided tours are offered hourly within the park. Make sure to join them. Neither of the tour will take too much of your time. On the contrary, they will enrich you with the valuable knowledge about Vancouver’s most popular destination. The Capilano Suspension Bridge is what drove me to this part of Vancouver in the first place. Needless to say, by the end of the trip I had many more reasons to visit the location at least one more time. I hope my love and admiration for the park inspired you to do the same. 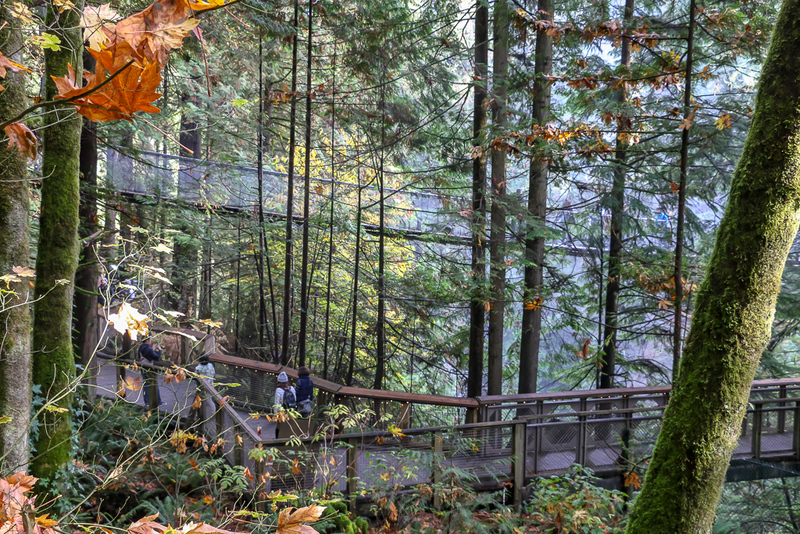 Visiting the Capilano Suspension Bridge at least once in a lifetime is an absolute must for people of all ages!